High-speed convection ovens have all the convenience of a microwave oven coupled with the solid cooking performance of a convection oven. 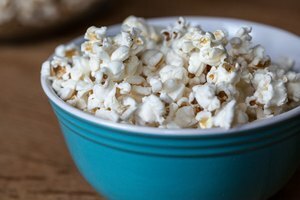 Many microwave convection ovens have a designated microwave setting that allows you to cook microwave popcorn. 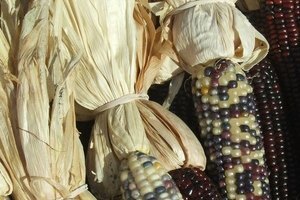 Heating times are a bit trickier on a microwave convection oven, so you might need to add cook time adjustment to get the perfect bag of corn. 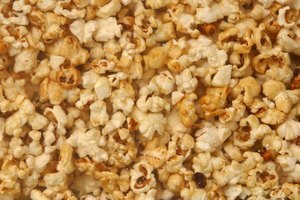 Run a few test bags of your favorite popcorn through your convection oven until you have the timing down just right. 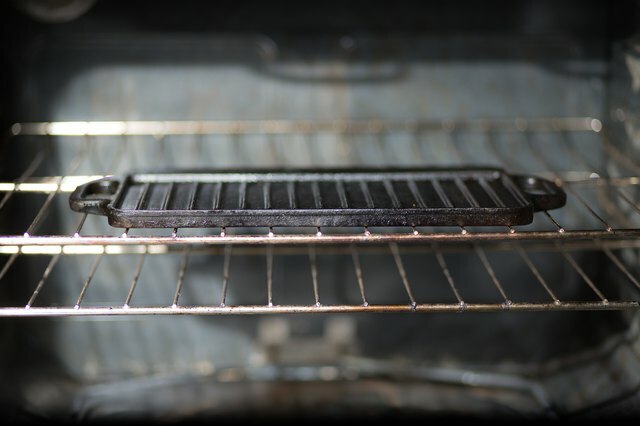 Open the oven and place a two-sided bacon/meat grill inside of your convection oven with the grill side up. These are made from heavyweight thermoset polyester and can help elevate the popcorn for superior cooking performance. Not all units may require this precaution—check your owner’s manual for instructions. Remove the plastic overwrap on the popcorn bag. Unfold the bag and place it on top of the thermoset bacon grill. 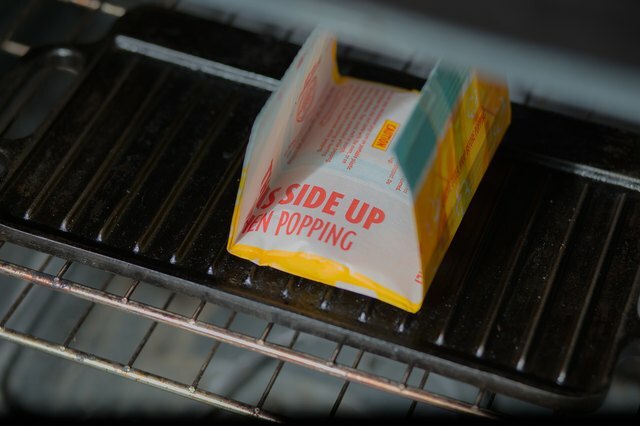 Follow the directions on the popcorn package for “This Side Up” when placing the popcorn bag inside your convection oven. Close the oven door and locate the “Popcorn” setting on your convection oven. Press the “Popcorn” setting once and use the up and down arrows to select the size and type of the popcorn. Choose “Regular 3.5 oz.” for regular popcorn that weighs between 2.85 to 3.5 oz. 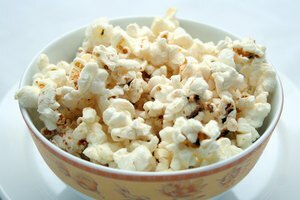 ; choose “Regular Light” for light popcorn that weighs between 2.85 oz. and 3.5 oz. ; and choose “Snack” for smaller, snack-sized bags of microwaveable popcorn. 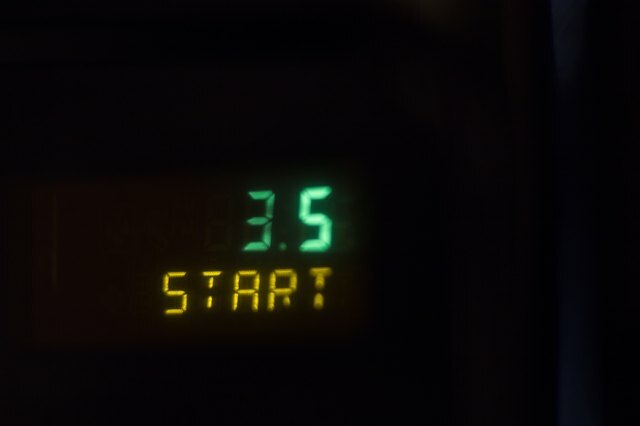 Press the “Start” button and allow the popcorn to run through the timed cycle before removing. Remove the bagged popcorn and open carefully to avoid burns. 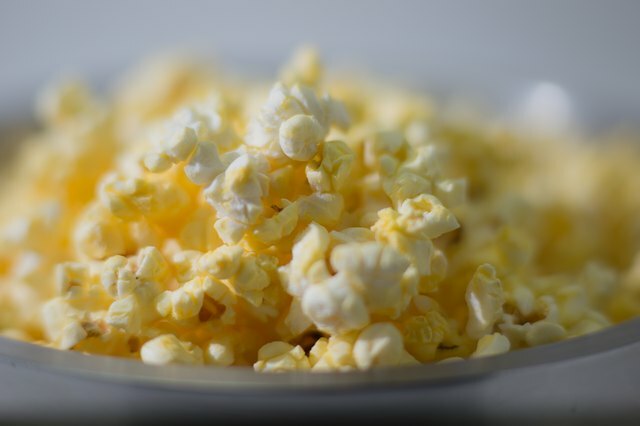 Not all convection microwave ovens have a setting for light popcorn. 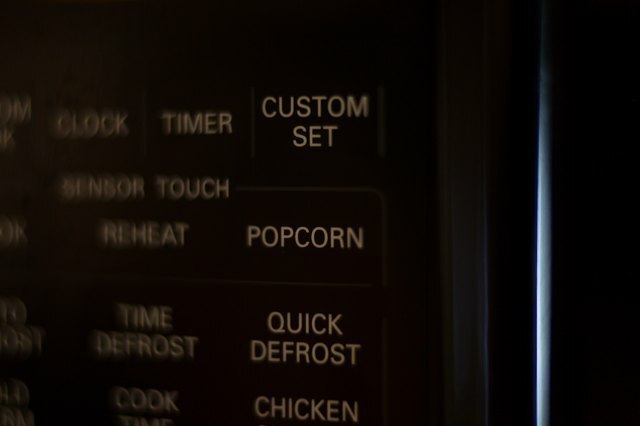 Some convection ovens automatically display the “Regular” setting for popcorn bags and you must press the “Popcorn” button twice to get options for the mini-bag setting. Always follow your manufacturer’s instructions when popping popcorn. Program in your own time setting for popcorn by punching in the time on the convection microwave cook pad and pressing the “Start” button. 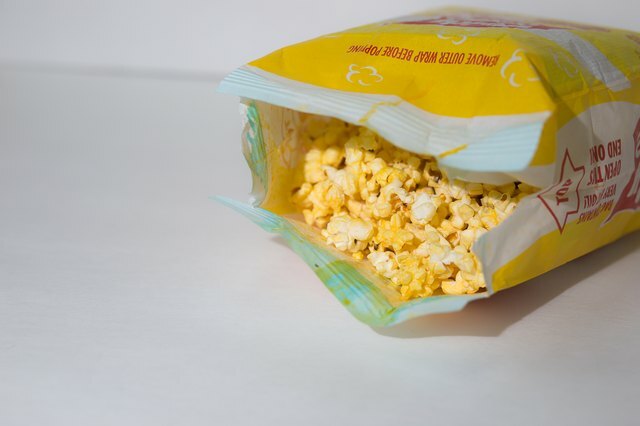 Microwave popcorn bags get extremely hot and the steam can burn your skin when opening. Always open carefully and avoid holding the bag near your eyes and face.